 ``A culture is not better than its woods,'' Auden once said. 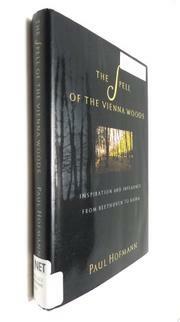 And since the British poet spent his last days in the Wienerwald, the partially landscaped woodlands of Vienna that are the subject of this book, Hofmann begins with these words. This is really a memoir, since travel writer Hofmann is returning to the sylvan sites of his own Viennese youth--woodlands steeped in cultural history, a place of intimate and sometimes secretive pleasure as well as scandal. Beethoven had a fondness for these woods, as did Freud and Mahler. In fact, they were a favorite haunt of practically every major figure in Viennese history. Emperor Franz Josef tried to lure back his wayward and wandering wife, Elizabeth, with a magnificent hunting lodge there. At Mayerling, a Wienerwald village, the Crown Prince Rudolph apparently committed suicide with Baroness Marie Vetsera in 1889. Hofmann takes us on a series of walks, or tours, through the woods' different areas. The historical material that pops up as we follow the author is perhaps more interesting than the sometimes lame observations of meals, comments, encounters. The accounts of Kafka's four happy days with Milena here (perhaps the only happy days of his life spent with a woman), of the development of the Biedermeier era's romanticism, and of the Strauss waltz closely associated with the countryside are charmingly informative and relaxed. Particularly curious is the telling of Egon Schiele's brief imprisonment in the prison of Neulengbach (he had an unfortunate proclivity for painting undressed and underaged girls). The book also has the virtue of being a de facto hands-on guide to walking in the Wienerwald, but one that will be primarily read as an anecdotal view of a largely vanished culture.